Made of stainless steel. 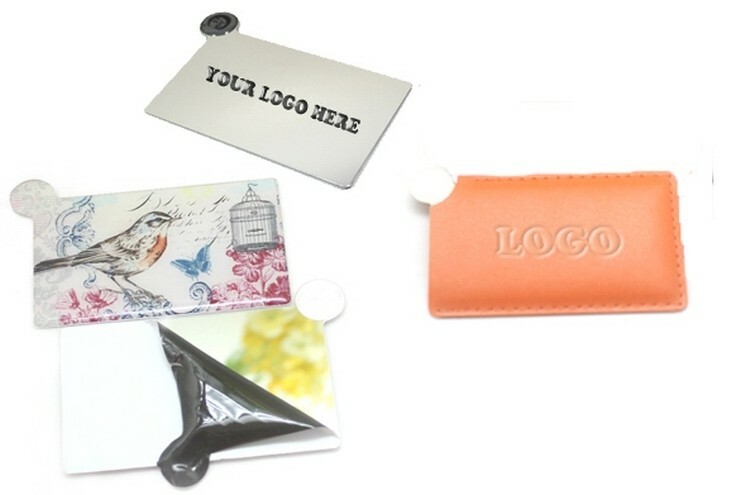 Two sides which combines mirror with your logo. It can be customized with pictures and memos. Convenient to take and great for office, school and daily use. 3 " X 2 1/2 "